Long Island, NY- MMA Platinum Gloves returns to The Sports Arena in St. James on April 25, 2015, where two amateur belts will be defended. The lightweight champion, Nick Fiore, (6-0) will defend his title against James Gonzalez (3-1) in the main event. In the co-main event, Danny Ochart (3-0) defends his undefeated record and MMA Platinum Gloves bantamweight belt against Shaquan Moore (4-1). A feature fighter of the night that fans should keep an eye on is Dave Della Rocca (2-0). Della Rocca will be stepping into the cage against Lathan Harmon (0-1). 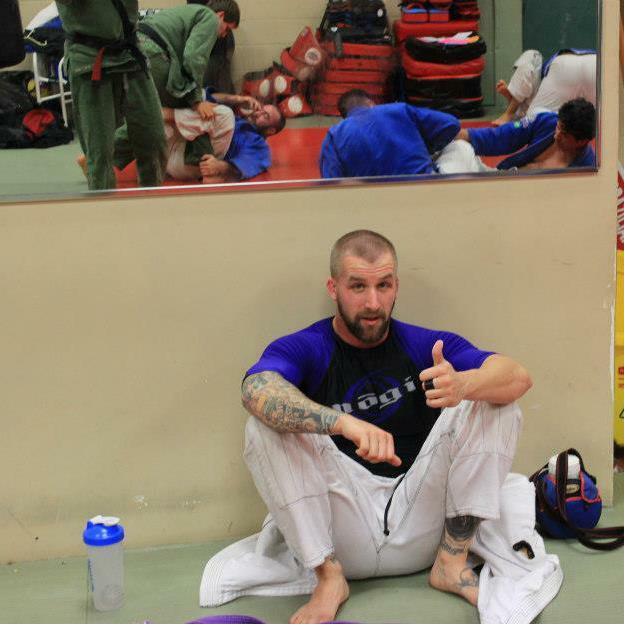 Della Rocca trains Bjj (Brazilian jiu jitsu) out of Vamos Bjj under Chris and Alex Vamos and at Bellmore Kickboxing. He will be fighting in a 160-pound catch weight bout against Harmon. Harmon looks to earn his first amateur victory, as Della Rocca plans to add a third win to his prefect record. Della Rocca struggles finding fights at his 155-pound weight class and decided to accept the catch weight bout just to get inside the cage. 31, Della Rocca intends on battling inside the cage as many times as possible in the near future as he has a long-term goal of turning professional. The Bellmore kickboxing fighter began training Jiu Jitsu about 8-years-ago when he needed to fill the void of his competitive nature. Last April he achieved his biggest accomplishment in Jiu Jitsu by earning a bronze medal in the open weight division at the Abu Dhabi in New York. At his age, 31, it’s rare for a fighter to get into the sport competitively this late, but having a strong background in jiu jitsu and watching the sport for so long, Dave Della Rocca needed to fulfill a dream many people have, yet so few accomplish of stepping inside a cage to fight. When asked about his short-term and long-term goals, the full-time IT worker is realistic about where he is in his career. He has short-term goals of fighting in as many bouts as possible and go professional. Tuning pro and taking a few fights will prove to himself he was able to do it and gained a new life experience. He plans to take it as far as he can. For the first time before a bout, Della Rocca sought out sponsors to assist in his financial burden of camp and the cost of supplement products. Della Rocca pointed out the fact that sponsors were more than just assistance of financial restrictions, but a showing of support for him by the local community. “you don’t have to step on other people for success, the best way for success is for everyone to succeed.” said Della Rocca. Authentic Arts Tattoo by Tommy Simonetti in St. James, ASES A.S Engineering Servies by Alex Spyrou, Riverhead Health Care, and Made To Thrive by Eric Ott are his sponsors supporting him for his April 25 bout. MMA Platinum Gloves 9 returns to The Sports Arena in St. James on April 25, 2015. The doors swing open at 6 p.m., with ticket prices starting at $20. Tickets can be purchased from fighters themselves or by visiting MMAPlatinumGloves.com.